What terms did early Christians use for outsiders? How did they refer to non-members? In this book-length investigation of these questions, Paul Trebilco explores the outsider designations that the early Christians used in the New Testament. He examines a range of terms, including unbelievers, 'outsiders', sinners, Gentiles, Jews, among others. Drawing on insights from social identity theory, sociolinguistics, and the sociology of deviance, he investigates the usage and development of these terms across the New Testament, and also examines how these outsider designations function in boundary construction across several texts. 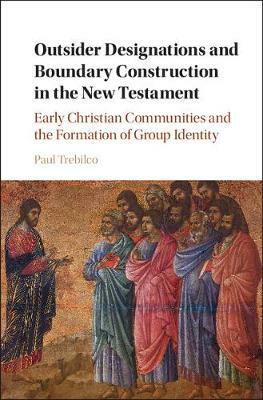 Trebilco's analysis leads to new conclusions about the identity and character of the early Christian movement, the range of relations between early Christians and outsiders, and the theology of particular New Testament authors.